Pain is experienced when the spindles lcoate a bump or tender knot in the muscle known as trigger points. Muscles containing trigger points are often, weak, stiff and sore . They are frequently tight, easily tire and often hurt. The Stick is waterproof and designed to bow without the fear of breaking. For pin-point rollout, slide hands onto spindles. 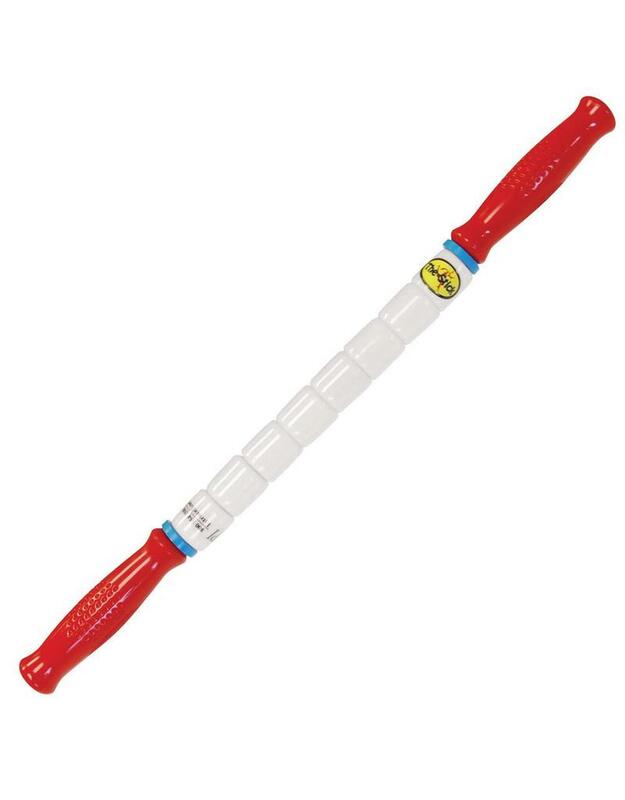 The Stick rolls knots out of muscle, providing myofacial release & trigger point therapy. This therapeutic procedure inactives trigger points [muscle knots/kinks], warms muscle, increases circulation anda encourages nutrient-rich blood flow. 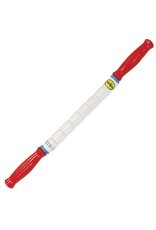 The Stick relieves pain, increases range of motion promotes flexibility and accelerates recovery. Use any time the many benefits of myofasical release and trigger point therapy are desired.